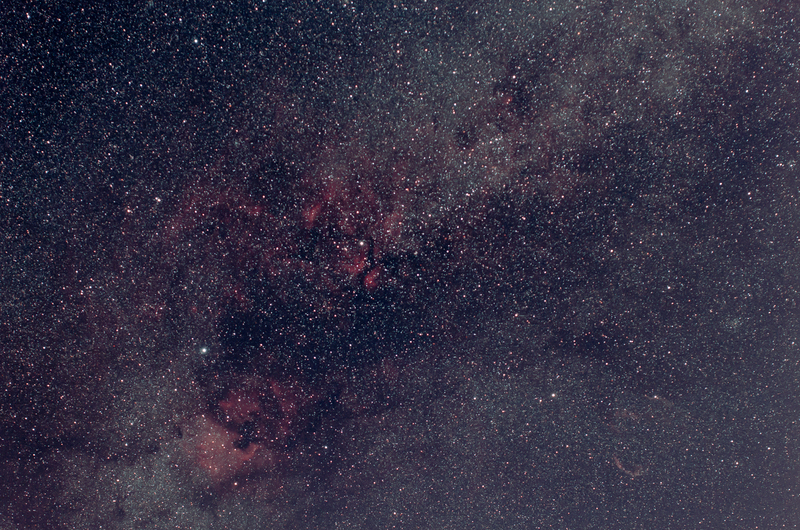 I took Bias, Dark and Flat frames too, and stacked in Deep Sky Stacker, then post-processed in Photoshop CC2014 and Lightroom. She’s a rich old bird is Cygnus… There are a multitude of objects to be seen, not least the North America Nebula, the Veil Nebula, the Pelican Nebula and various others, such as star clusters. It’s an amazing view that shows the sheer volume of stars in that section of the Milky Way (approximately 25° width in the sky).